Start the new year out by improving your health. Throughout the month of January, Henry Ford Wyandotte Hospital is hosting a variety of events for the community, including free health screenings, Zumba classes and medical weight loss programs. Medical Weight Loss: Want to lose the pounds you’ve gained during the holidays? Join Henry Ford Wyandotte Hospital’s medical weight loss program. The 12-week program runs every Wednesday at 5 p.m. The program includes: 12-week nutrition group education classes, weekly weigh-ins, one-on-one counseling as well as food intake analysis and customized meal planning by a registered dietitian. For more information or to register, call (734) 285-7420. Sessions will be held at the Bariatric Center, located at 3333 Biddle Ave. in Wyandotte. Cost: $300. NOTE: Registration is free for most of these events, unless otherwise noted in the event description. To register an event, call (734) 246-6057. 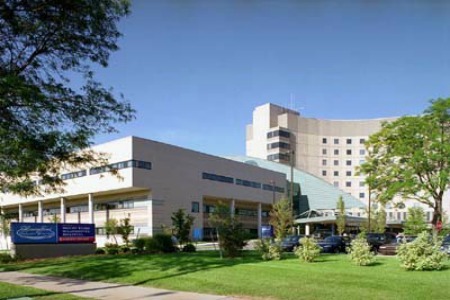 To learn more about the events and Henry Ford Wyandotte Hospital, visit www.HenryFordWyandotte.com.